Newcomer Family Obituaries - Debra Stacy 1953 - 2018 - Newcomer Cremations, Funerals & Receptions. 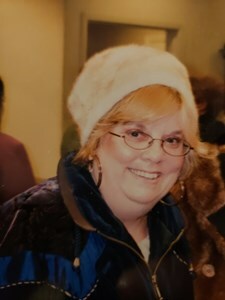 Debra Christine Stacy, 65, of Columbus, passed away December 2, 2018. Debra was born January 26, 1953 to Delbert and Mary (Roberts) Stacy. She was a devoted member of Jehovah’s Witness Organization. She loved music, especially playing the guitar. She also enjoyed singing with friends and family. Debra will be deeply missed by her; daughter Shannon (Michael) Bell; grandchildren Myca, Madison ; great-grandchild Braxton, her dear friend Marie Dade, along with many other family and friends. Debra was preceded in death by her parents and brother. Visitation will be Saturday, December 15, 2018 from 1:30pm to 2:30pm at Kingdom Hall of Jahovah's Witness 421 E. College Ave., Westerville, OH 43081. Memorial services will follow at 3pm. Add your memories to the guest book of Debra Stacy. Debbie was such a loving sister with a beautiful smile. We'll miss the smile of our dear sister, but look forward to seeing it again when all is new. Debbie always showed an interest in others. I will always remember her kindness to our family when we attended Northeast congregation together. I can’t wait to see her again soon in the paradise earth. May our strong hope continue to comfort her family. I will always remember her as a truly humble and mild person and dear friend. Her smile was her calling card, her trust in our GOD JEHOVAH was her strength!!! As Debbie's, or as my kids call her Natty's, Son-in-Law. I have seen her go through life ups and downs, highs and lows... all with a smile on her face and in her heart. She was a truly genuine human being, she was caring and comforting and always put others interest ahead of her own. Because I have seen her smiling so much... I can't recall what she looks like with a frown on her face, I can't recall what she looked like when she was sad, even though I know she had those times in her life. But her smile... her happiness will always be what I see in my memory of her. She will be missed by so many because she touched so many. Since her death all I have heard are how many different ways she has impacted the lives of those who knew her, even if they only knew her for a short time... her loving personality touched their hearts and will firmly be entrenched in all of our memories. I will always remember Debbie’s friendly smile and positivity. Her warmth was felt by those who knew her and by strangers too. Even when she didn’t feel well, she still smiled and treated everyone in a kind manner. She will surely be missed. Shannon and family, you are in my prayers. I remember whenever I saw Ms. Debbie at The Memorial, our Conventions or anywhere she always introduced me as"This is Micheal's sister". Lol. I dont know if she knew my name. I used to get so tickled lol. I just love her. Shannon, Mikey,children, she will be missed so. It is my pleasure to be a part of her family. Lots of love and hugs to you guys.